NOxBOX ® mobile is a completely independent system that allows it to be deployed quickly and easily close to the patient's ventilator. It is also suitable for transporting ventilation. The system can be battery or mains powered and space for two NO gas cylinders, ensuring uninterrupted gas flow. The system is designed to provide reliable, accurate measurements and is easy to set up and use by non-technical but trained staff. Audible and visual alarms are provided for low NO values, high values NO and NO2, and low battery. 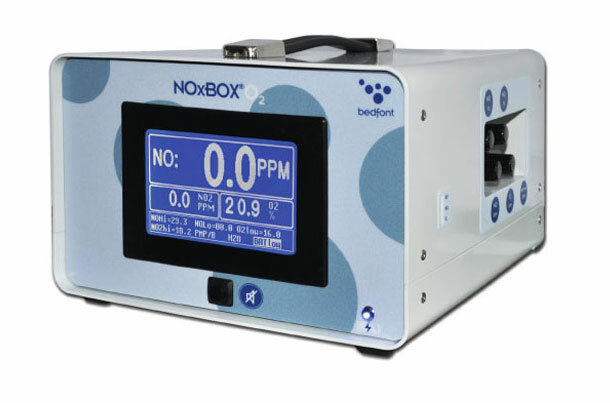 Personal NOxAir environmental monitoring of NO and NO2 are also available to check for leaks and monitor any ambient pollution caused by NO or NO2.